The currently defined authentication is shown here. 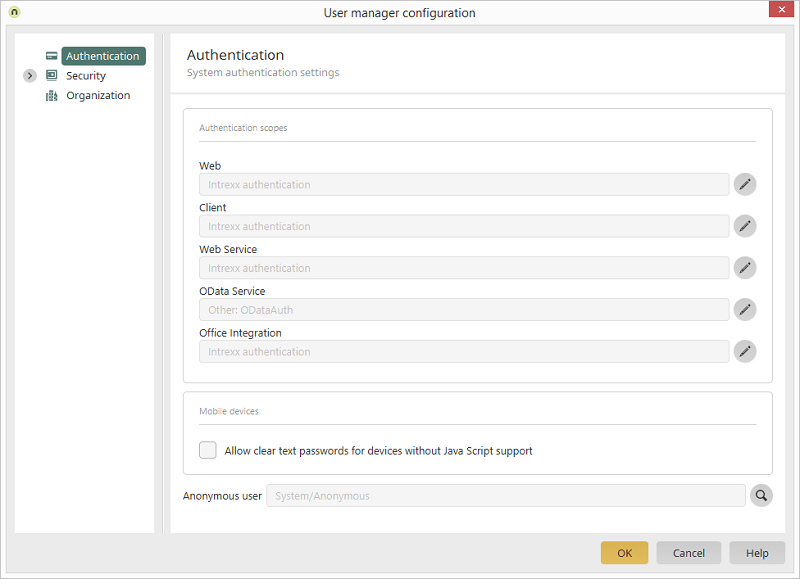 Opens a dialog where the authentication type can be defined for the respective scope. For security reasons, this option should only be used when the communication is secured via TLS (https). The currently defined anonymous user is shown here. Opens a dialog where a user can be selected that should be used as the anonymous user.